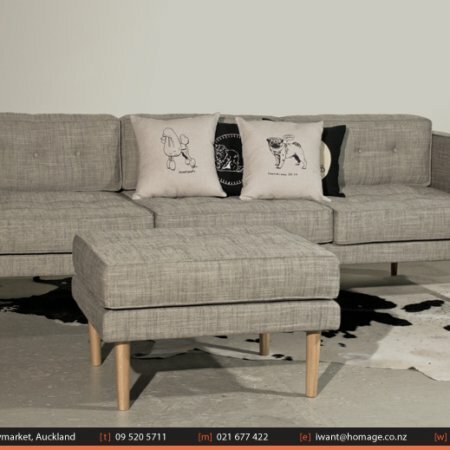 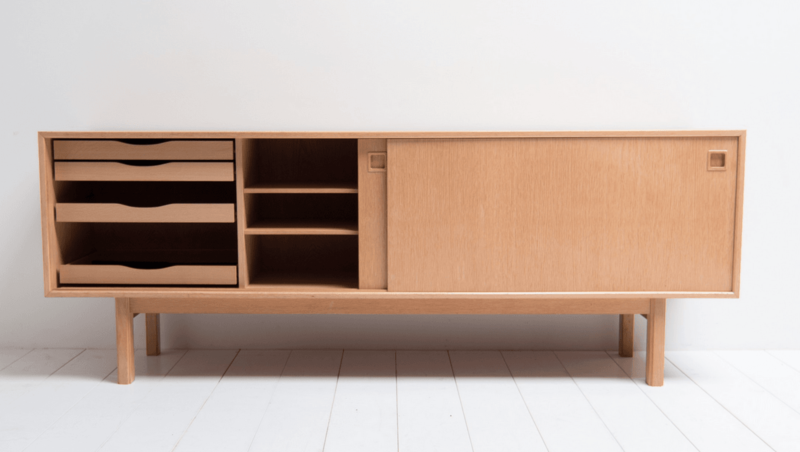 Homage is excited to announce the arrival of the very first item in our brand new series of classic Danish Mid Century designs made right here in New Zealand by a talented local craftsman. 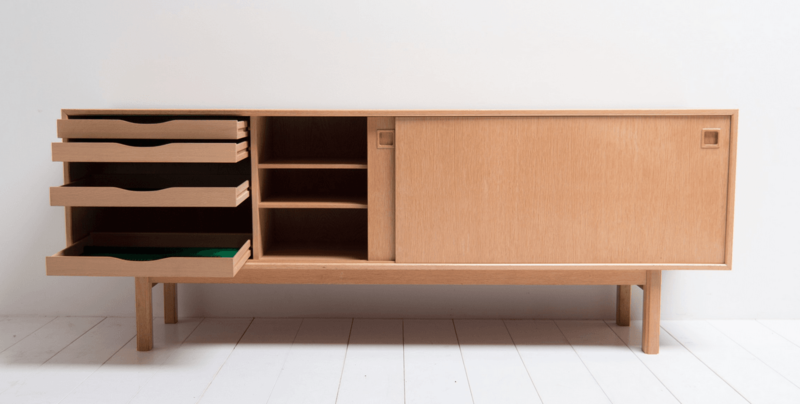 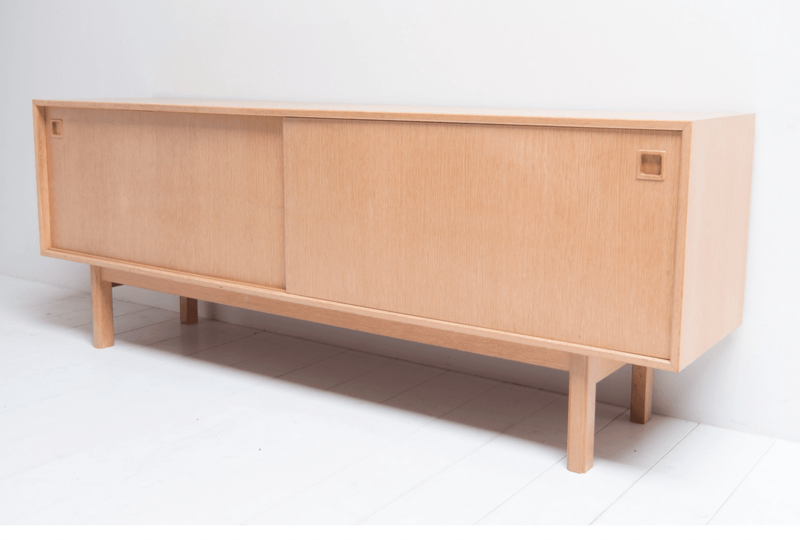 The ‘Model 21’ Sideboard was originally designed in 1965 by Danish furniture manufacturing company Omann Jun Møbelfabrik. 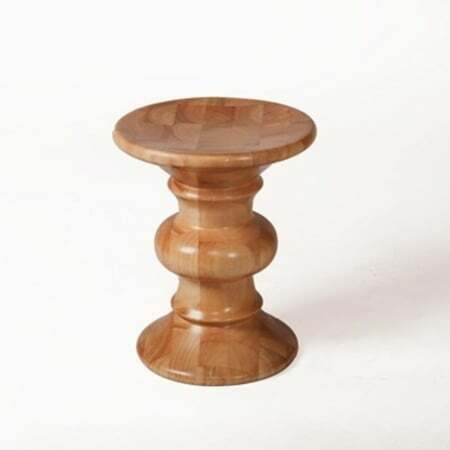 The company was founded by Andreas Omann in 1933. 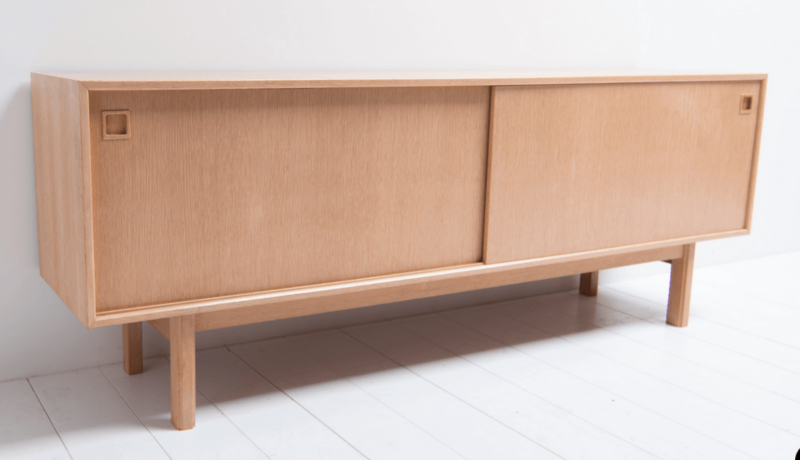 The family-run business initially focused on the production of bedroom furniture but later, in 1950s, ’60s, and ’70s, expanded into dining room furniture , desks , sideboards , and shelving systems made in high-quality woods, such as teak, oak, and rosewood, which were exported worldwide. 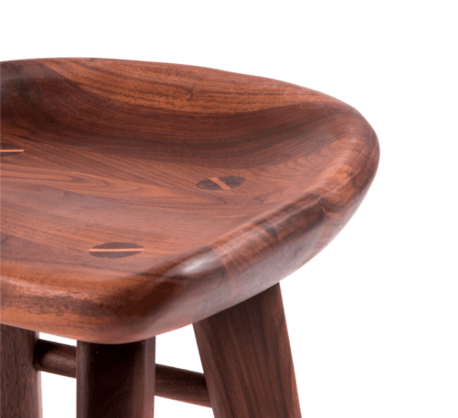 Members of the Omann family developed the designs in house. 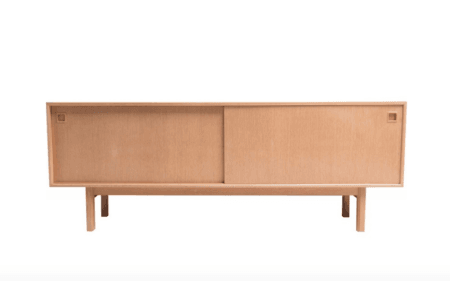 These pieces feature many hallmarks of Scandinavian modernist design, like beautiful grained surfaces, tapered legs, sliding doors, and beveled edges. 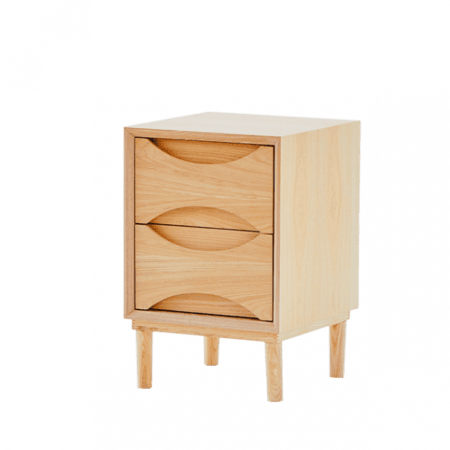 Crafted from American White Oak.